This thread is for live updates and comments regarding the Rolling Stones Montreal June 9 show. Please tell us your pre- and post-show thoughts and comments here. me to see the Stones tonight ! Cool ! Took my daughter last time she was the same age !We had a blast ! And we all gonna have a blast tonight! It's going to be a really big sheww, a really big sheww. Getting ready to head to Montreal for the show tonight!! Hoping we get Some Girls and Ruby Tuesday, songs that have yet to be played on the tour. Hope everyone has a great time tonight!!! It would be cool if this is the concert, of this tour. 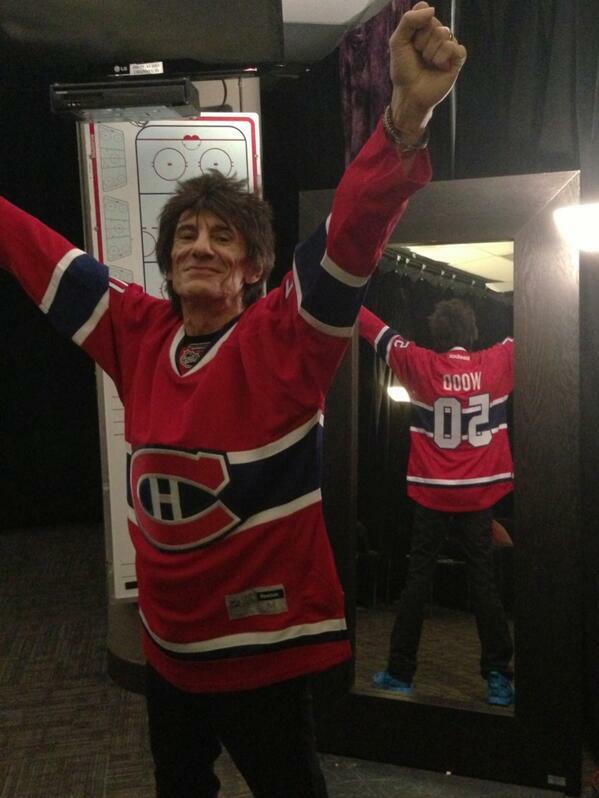 What hotel are the Stones staying at while in Montreal? b2b2, speculating about where the Stones are staying is discouraged by the moderator here (even if it's fairly common knowledge) so don't be surprised if that post disappears. I'm not arguing for or against - them's just the rules. I heard they are staying at the Memory Motel. I won't give location then, but it is all over the local newspapers. Walked by about 1/2 an hour ago- its a nice sunny day in the mid-20's-lots of fans hanging out. Lots of security, velvet ropes etc. Generally a good vibe, but I don't think any of them will see the Stones. My hotel is a block away, so not a big detour. More songs in the vein of "Worried about you", please! Edited 2 time(s). Last edit at 2013-06-09 22:02 by NICOS. they've had waaaay more than 60 unplayed songs. in fact i think this tour is setting the record for most songs not played. best tour ever. Nanette only sings on HTW, not CH? Edited 2 time(s). Last edit at 2013-06-10 01:06 by Green Lady. We panicked when we got here, we thought they might issuing wristbands on a first-come, first-served basis... But line organizers have assured us that that is not case. Sebastian vettel will see the Rolling Stones in Montreal tonight after his victory in F1 today! Ronnie should go on stage wearing a Bruins shirt!!!!! Everyone IS being given wristbands tonight! This allows you to not have to enter the arena right away; you're free to go to a bar or whatever and can't get rid of your tickets because you're already wearing the wristband. We scored 100s, so we're pretty happy! !